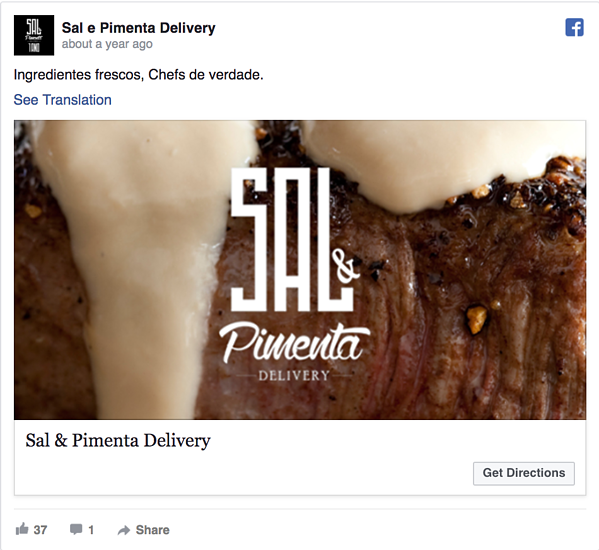 Facebook's business platform has grown to be more and more sophisticated, giving advertisers more options to reach new audiences and retarget previous site visitors back to their brand. However, with so many different options, it can be difficult for advertisers to figure out which Facebook Ad type is best for any given campaign objective. 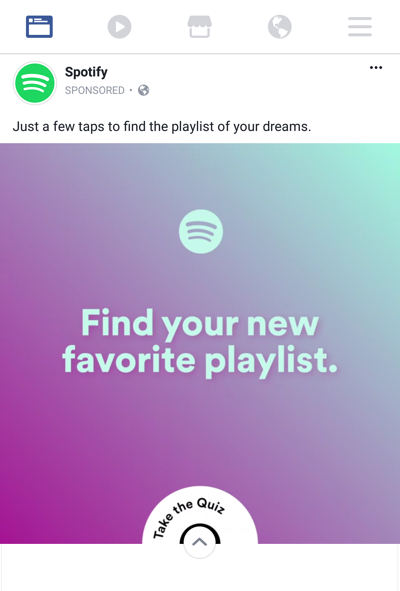 In the example above, Spotify's ad uses a creative, colorful video that focuses on finding new music and playlists for users to enjoy. 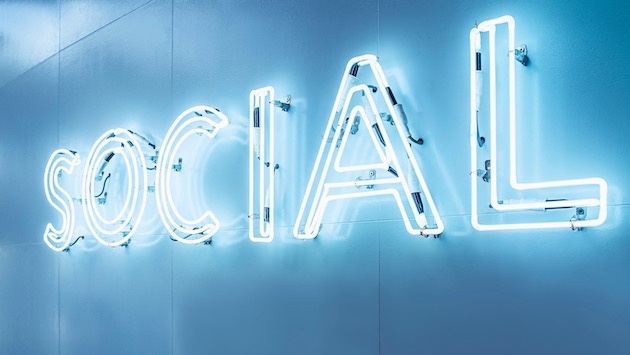 While a user might see the add and decide to sign up for Spotify immediately, Spotify used the brand awareness approach to create compelling content to draw the user's attention. 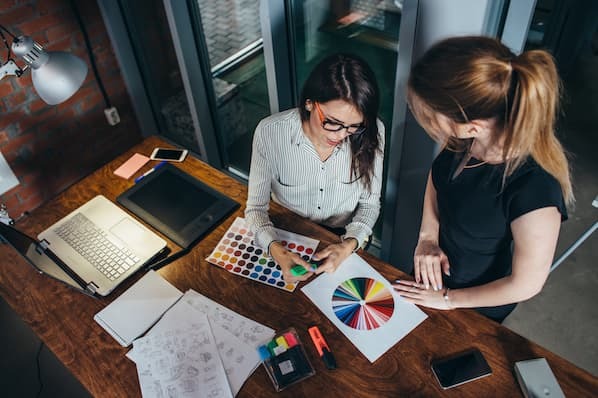 While some brand awareness campaigns are meant for wide-ranging audiences, other businesses might be focused on acquiring customers in a specific location. 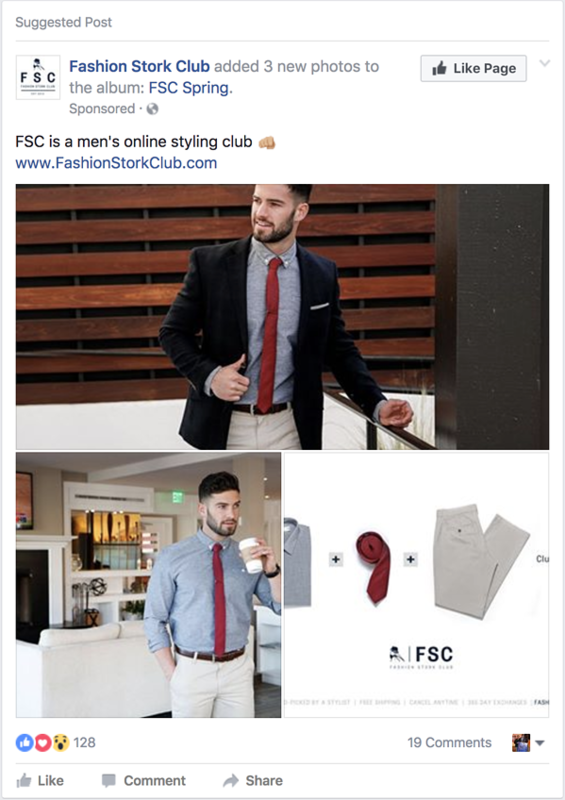 Store visit ads allow you to create campaigns that target users in a specific geographic location. If you have multiple locations, you can use the same creative template and target Facebook users who are spending time in each of your localities, too. To use the store visits ad type most effectively, Facebook requires you to set up a locations structure on your business's Facebook page. Whether you have a new store opening or just want to boost awareness for one of your store's exisiting locations, use the local awareness ad type to drive brand awareness in specific geographic regions. This ad type is largely the same as brand awareness ads, but will be more oriented and targeted via location than larger overarching audiences. 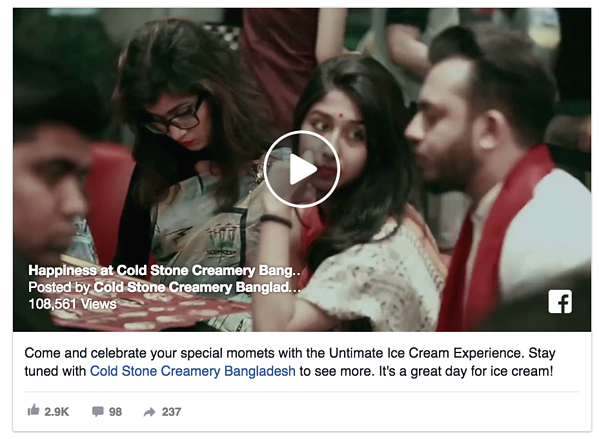 For example, Cold Stone Creamery used a local awareness ad to target people in a geographic area when their store in Bangladesh opened. Notice how in this ad Cold Stone chose to use a video as the creative asset featured in the ad. This is a great way to engage users and entice them to stop scrolling down their newsfeed. While brand awareness campaigns might be more high-level and goaled with long-term attribution, website conversion campaigns are meant to encourage users to click on ads and convert on your website immediately. Website conversion ads are meant to drive specific actions on a specific page on your website, so make sure to use them correctly. 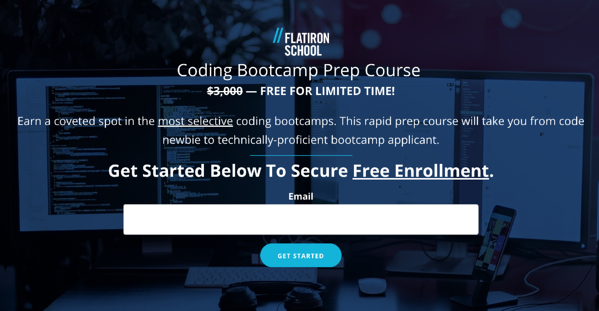 Instead of simply encouraging the user to click on your website to "learn more," use website conversion ads to drive sign ups to a newsletter, start a free trial, or download an offer. 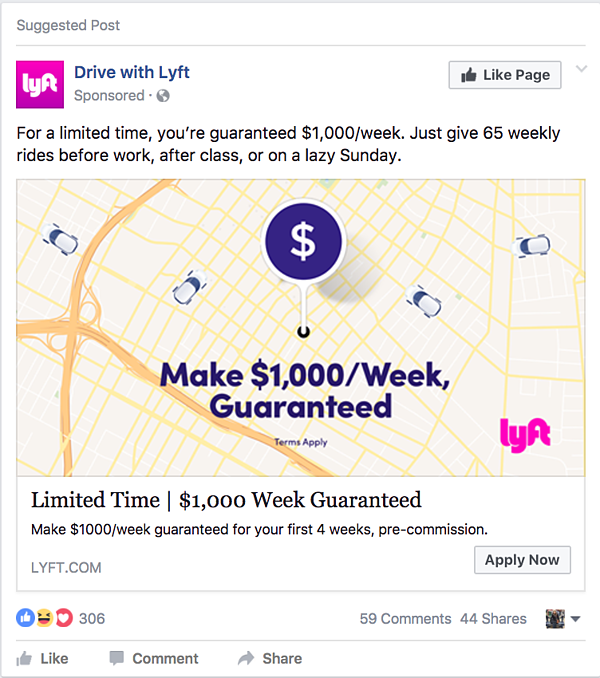 For example, Lyft used a website conversion ad to encourage users to become a Lyft driver with a special offer. 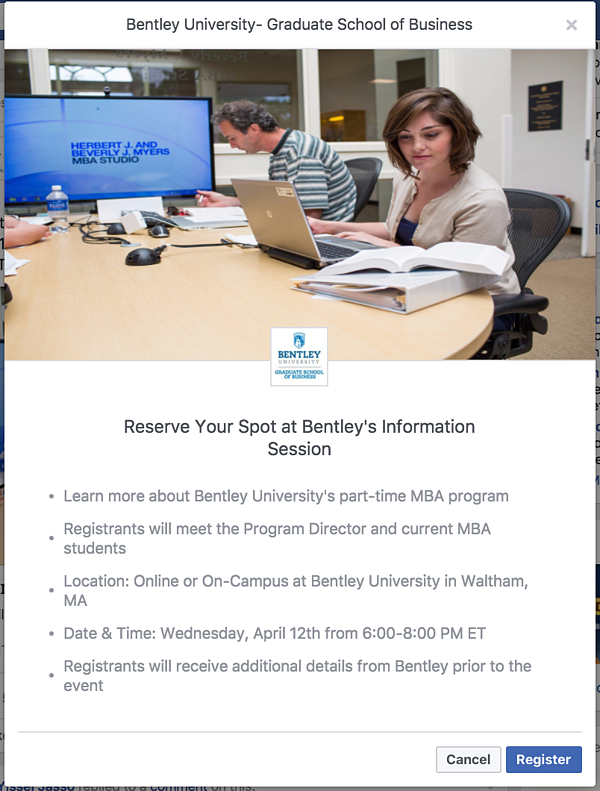 The add encourages conversions by using a specific "Apply Now" call-to-action and creates a sense of urgency by showcasing the offer as being for a "Limited Time" only. Many of your campaigns will be goaled on getting users to take specific actions, like filling out a lead generation form, while other ad campaigns might be goaled on generating traffic to your website. With the click to website ad type, you also have a variety of creative options. You can include a carousel of images to send users to different links, or canvas mobile ad feature to tell a story with your ad. Have an important event coming up that you want to generate some buzz and attendance for? Use the event ads type to promote a Facebook event and get more responses. The event ads type is relatively straight forward. 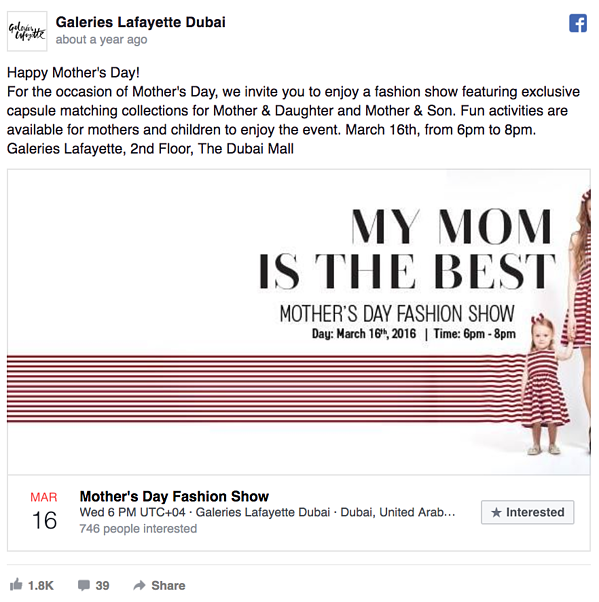 If you are already using Facebook's event feature to generate attendance, this ad type is a great addition to your campaign strategy. However, if you want to drive event sign-ups on solely on your website's sign-up page, it might be better to use a different ad type, like website conversion ads, to meet your on-page goal. During the website conversion ads section, we touched on the fact that you could use conversion-focused offers as a landing point for your Facebook ad. 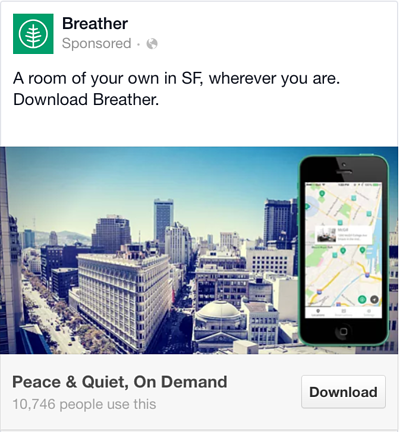 That said, Facebook also allows you to set off-site offer downloads as a campaign objective. As you can see, the offer claim Facebook Ad type should lead your users directly to a sign-up page on your website where they can claim the offer you promoted. In a traditional lead generation conversion path, users are driven to a landing page where they fill out a form. For example, you might use a Facebook offer claim ad (like we discussed in the previous section) to drive users to your website and have them fill out a form there. The downside to this conversion path is that users are required to leave Facebook altogether once they've clicked on the ad to actually claim what you're promoting. Luckily, Facebook offers the lead generation objective, which allows you to collect lead information without forcing your audience to ever leave the Facebook app. Next, the user can click the register button and see an form (of your choosing) with their information auto-filled. 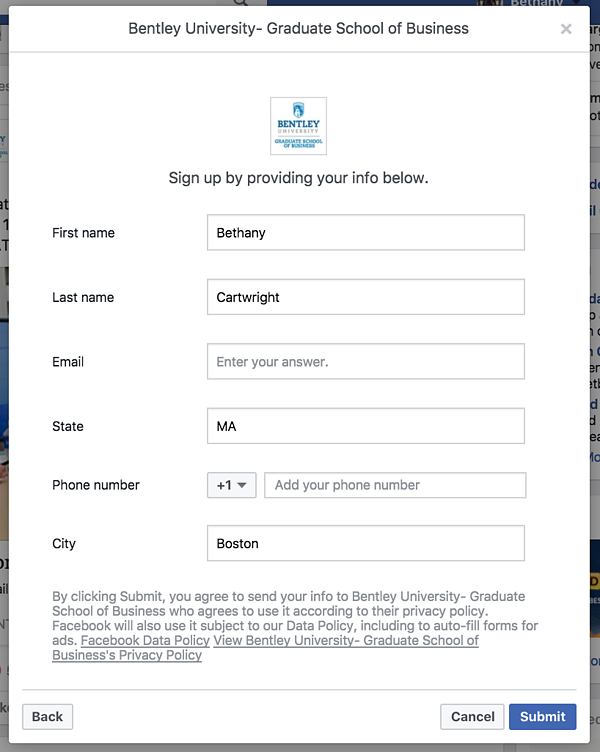 Once the user submits the form on the lead ad, they can click out of the ad and go back to browsing on Facebook. It's a great user experience and Facebook will sync with your CRM so your leads are right where you want them. Want more information on how to set up and successful target Facebook lead ads to the right users? Check out this comprehensive guide. In some cases, you may want to use Facebook Ads to expand your organic reach. When this is your campaign goal, you should use the page like ad type to encourage new users to "like" your page. Once they do, they'll be able to see your organic content when you post it. Page like campaigns are best for advertisers who put lots of effort into their social media presence and produce content specifically for their Facebook users to drive engagement. Keep in mind, you can also ad a "like page" call-to-action option to other ad types if you want to accomplish two goals with one ad. If you regularly post content on your Facebook page, you probably know that some content performs better than others. 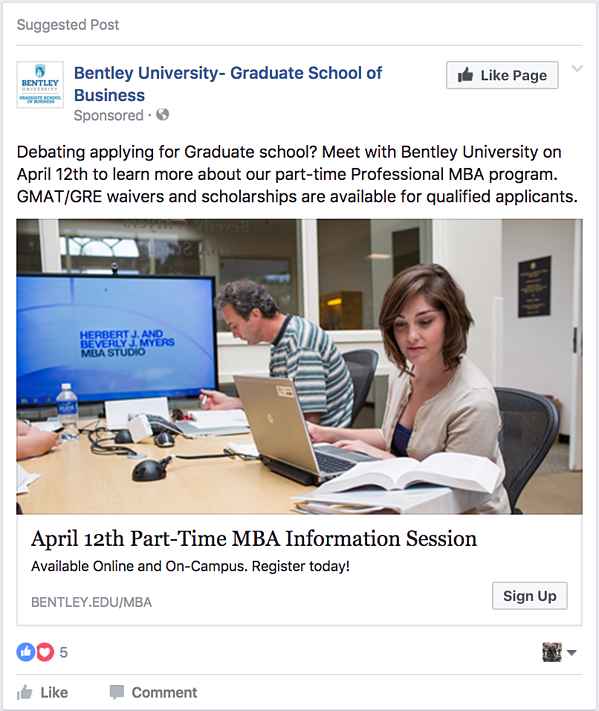 With Facebook post engagement ads, you can drive more engagement on individual posts and expand its original reach. This helps you generate more activity on your posts and helps you get more organic followers quickly by offering them the kinds of posts they'll see more of if they follow you. 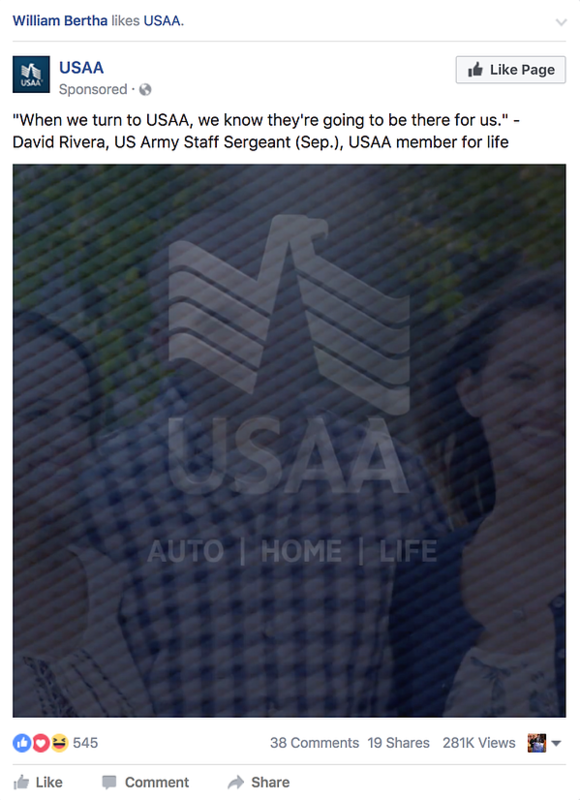 In the example below, the ad is promotes an update this company made to their Facebook photos. Notice that the add displays the post engagement (likes, comments, shares) along with the post to encourage viewers to also engage with it. 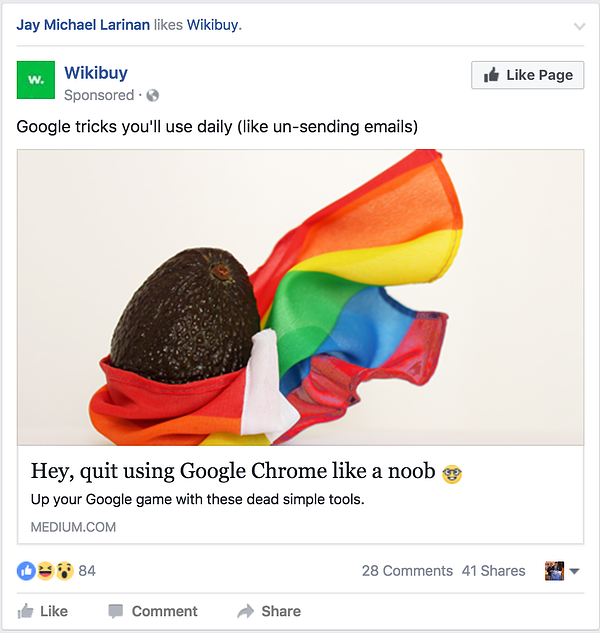 The ad also features a "like page" button which allows the advertiser to generate both page likes and post engagements all in one post. We've covered all of the different Facebook Ad types campaign objectives you can use to meet your specific ads goals. But is that all encompassing? Not really. In reality, many of the Facebook Ad type campaign objectives overlap, and you could use multiple ad types to accomplish the same objective. Additionally, Facebook has many different options for you to choose from once you pick a campaign objective, which means choosing an ad type isn't even half of the battle. 1) Define your campaign goal. Before you begin any ad campaign, you first need to determine what the goal of your campaign is. Are you trying to drive conversions on your website? 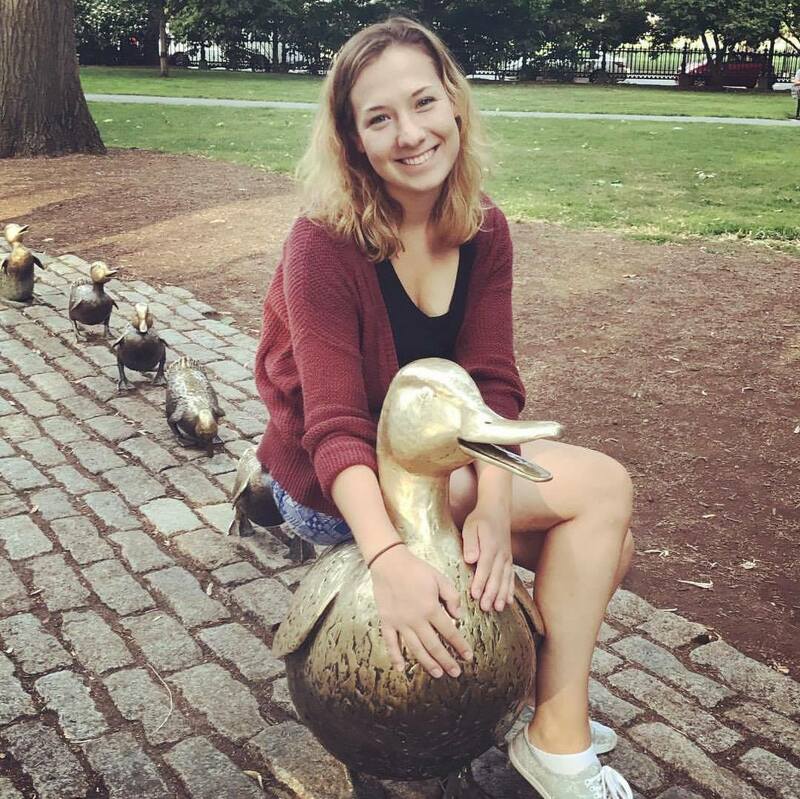 Drive attendance for an upcoming event? Simply get more customers to your local store? Don't just come up with a campaign around which ad type you want to use. Instead, start with your own marketing needs and build your ad around it. 2) Choose relevant types you could use. Once you've defined the goal of your ad campaign, take a look at the different Facebook Ad types available to you. Luckily, you already know what each of the ad types are. 3) Narrow down your options. Once you've chosen which ad types are most applicable to your needs, choose the one you think will work best for you campaign. Or, use the same creative, copy, and targeting options to set up a campaign test using different ad types and see if one performs better than the other. 4) Write copy and create assets. One great feature of Facebook's Ads Manager tool is the wide range of creative and layout options you have available to you. 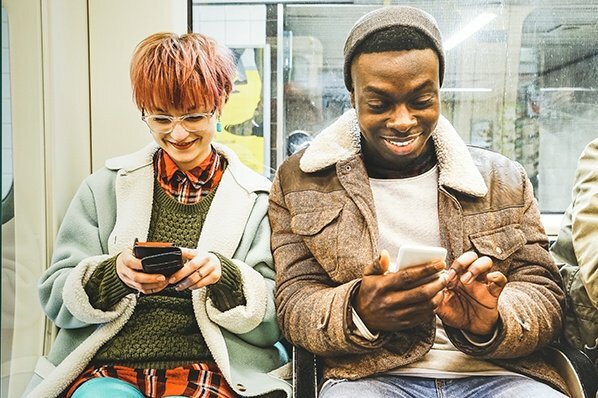 Not only can you choose between image, video, photo grid, and carousel layouts, you can also customize your ads for mobile and desktop audiences. Facebook also has lots of different calls-to-action you can use on your ads, or you can choose not to use one at all! As you run different ad campaigns, make sure to test and analyze what works best for your audience. 5) Use different ad types for different campaign goals. Don't just stick to one ad type for all of your campaigns. Instead, make sure you're optimizing your ads for the right campaign objectives. Try out different Facebook Ad types and different ad campaigns to optimize your ad strategy for your audience. 6) Target the right audience. Creating the draft of your ad is only half the battle. The other half is figuring out how to target the right audience for your ads campaign. Luckily, our free guide to Facebook Lead Ads has an in-depth section on how to set up your targeting strategy for any ad campaign you run. 7) Test, analyze, and repeat. Once you've defined your campaign objective, selected your ad type, created your ad, and targeted the right audience, it's time to analyze your results. Remember: digital advertising is all about testing, analyzing, and optimizing future ad campaigns over time. Make sure you follow this important final important step, and you'll be on your way to implementing a high-ROI ads strategy in no time. 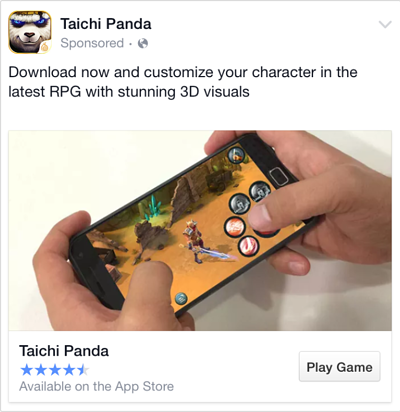 You may be wondering, "Okay, which Facebook Ad type should I definitely try right away? 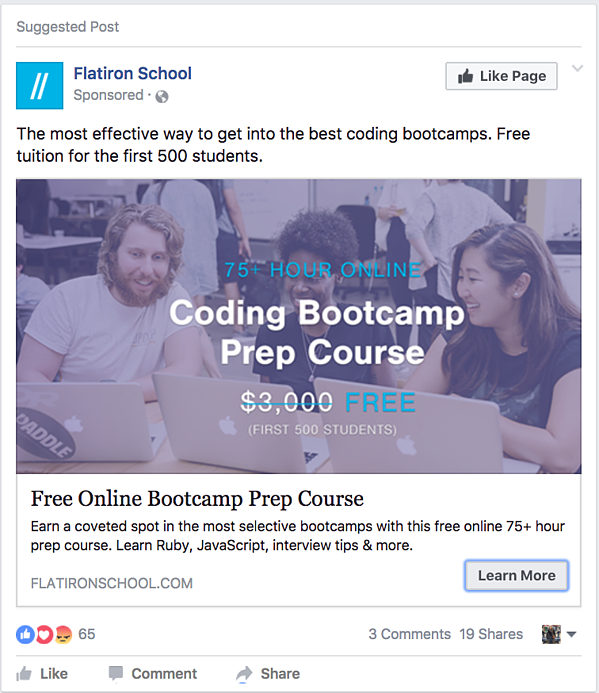 We just put together this in-depth guide on Facebook Lead Ads. It'll help you learn everything you need to know about optimizing lead generation ads that allow users to submit forms to you without ever leaving Facebook. Check it out here or click the banner below.